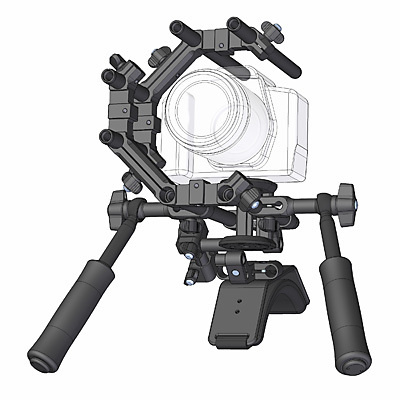 The offset of the DSLR is fully adjustable in the x, y and z axis. 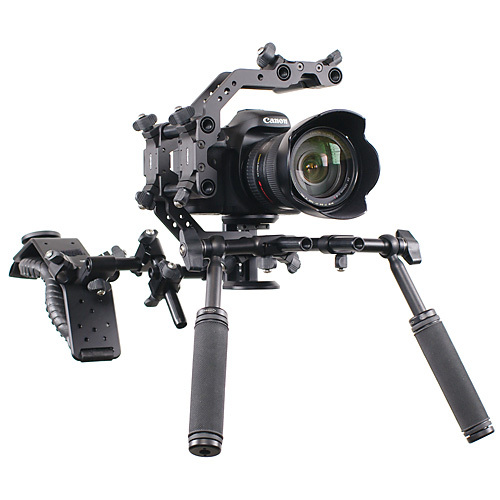 This provides an optimal viewing position, whether you use a loupe or a direct view on the DSLR monitor. 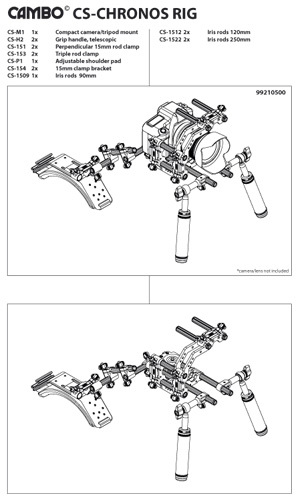 The Chronos features the quick reassembly of the rig due to the CS-151 memory clamps. 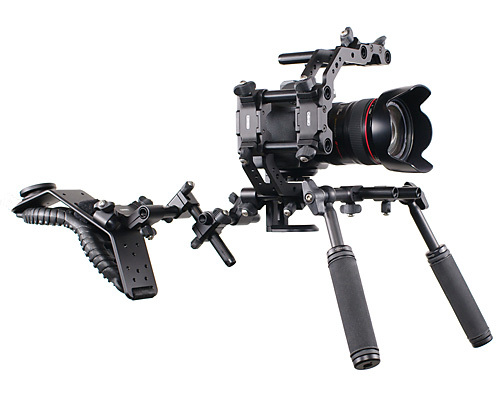 The Chronos-rig features the telescopic CS-H2 handle grips, giving the user full control over the positioning of the grips. 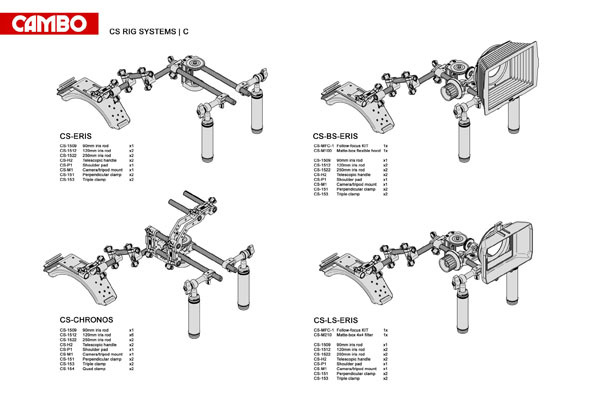 The CS-154 bracket system enables the use of the bottom, side and top rods for extra mounting/configuration possibilities.